Unravelling the complexities of the cloud – a new role for MSPs? In its infancy, cloud computing was seen as an elastic version of traditional IT – a way for businesses to stretch the computing power they needed, when they needed it and only pay for what they used. Now that the technology has matured it seems that this was just the beginning of the cloud journey. The real power and opportunity lies in the aggregation and analysis of all the information being processed through the cloud. Yet, the majority of businesses don’t have the technical know-how and expertise to digest and process their data in a way that provides usable business intelligence. This presents an opportunity for managed service providers (MSPs) to play a critical role in helping these businesses aggregate, understand and leverage correlations from their data to deliver meaningful business decisions. A forward-looking MSP with both vision and capability will be able to help its clients manage their cloud vendor relationships, providing the analytics and business intelligence around those relationships to drive business growth. Ultimately, these MSPs or total service providers will be entrusted with the huge responsibility of helping businesses unravel the complexities around different types of cloud data and how best to manage and secure this crucial asset. Managed services is already a huge and competitive market, and this rich revenue stream of potential looks set to help continue this growth. Research suggests that the global market will expand from $152 billion last year to $257.84 billion by 2022, at a compound annual growth rate (CAGR) of 11.1%. The cloud alone has been enough to stoke demand. Businesses want to take advantage of the benefits but are concerned about security and the balance between private, public and hybrid clouds. Reviewing security and installing protective software entails the entire IT infrastructure and it’s therefore more logical for a business to employ an MSP with a broad remit, than just a security specialist. The changing role of IT within business has also helped drive demand for MSPs that can do more than just ‘shift boxes’. IT is now far more than just a business facilitator; it is now central to new business models and plays a highly strategic role. Consequently, many MSPs are no longer product-centric but act as trusted advisors and consultants that focus on providing a total solution. However, such a fertile market is a mixed blessing. The more opportunities that arise and profits made, the more companies enter the market. Systems integrators and other IT professionals are being joined by independent software providers, keen to expand their portfolios to include services, and even telcos, keen to translate their scale and knowledge beyond voice and data services. As a result, every MSP is looking for its unique selling proposition. Research by Kaseya has shown that within the MSP market, growth is not uniform with some businesses raising their revenues by considerably greater percentages than their rivals. These high flyers have usually moved away from offering standard MSP fare such as back-up and disaster recovery, for example. The cloud is one area with great potential for value-added services. 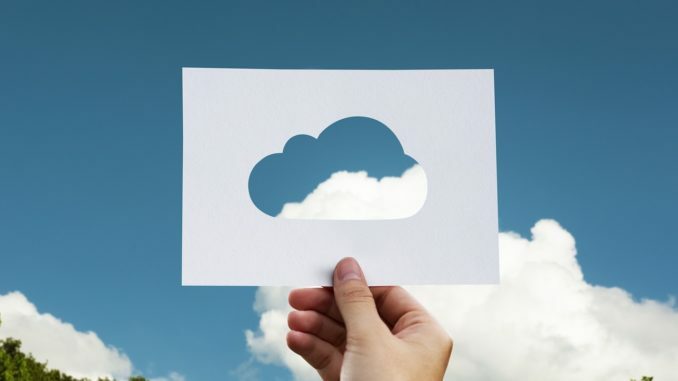 While cloud adoption can now be considered mature (in a recent Kaseya benchmark survey, 86 per cent of global respondents cited some level of adoption), some areas have stronger increase than others, opening the door for MSPs to add new revenue streams. But the cloud has become more complex with the growing popularity of public and hybrid versions. Measuring performance is relatively easy in a private cloud environment. A business knows the speed of its servers, disks and LAN connections. It also has a better understanding of the maximum capacity of its resources and can see which IT services consume the most. There are also performance and management tools that look for problems. However, integrating with the public cloud brings more concerns; there’s the cloud service itself, plus the WAN connections that impact actual performance. With hybrid environments, IT has to deal with many variable factors, including the network, internal servers, virtual machines and applications that need to be monitored to keep track of cloud services. Performance issues can come from several sources and interdependencies can result in even larger headaches. It could be a router issue, a VM using too many resources, or another infrastructure component causing the degradation. Traditional siloed monitoring tools don’t give the requisite visibility. However, if a MSP can offer a more holistic visibility, coupled with the right remediation tools, they can spot problems and rectify them quickly. This visibility gives intelligence on overall performance, alerting the business to potential glitches. Deep unified monitoring can be used to see where performance problems lie and supply root-cause analysis to support remediation. The same understanding of performance enables businesses to predict future needs and plan upgrades, ensuring that business-critical hybrid networks are always working at peak efficiency. There’s little doubt that the MSP sector is active, thriving and in some cases, highly profitable. This in turn is attracting innovation around the MSP and the emergence of tools to help these businesses become even more supportive to their customers. Kaseya research has shown that high-growth MSPs get it right because they give the market what they need. Currently, this need appears to be around the cloud, including the security and usability of data. Future-looking MSPs should also be looking at furthering their data analysis skills. It seems we are only just getting to grips with how the cloud works with data – but MSPs wanting to hone, improve and expand their services must be one step ahead of the rest.